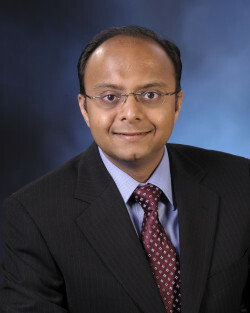 Nilesh J. Goswami, MD is a cardiologist with Prairie Cardiovascular and Director of the Coronary Care Unit at the Prairie Heart Institute at St. John’s Hospital and the Medical Director of SynvaCor, all located in Springfield, Illinois. Dr. Goswami received his medical degree from Southern Illinois University School of Medicine, Springfield, Illinois. He completed fellowships in Cardiology and Interventional Cardiology at the University of Texas Health Science Center, San Antonio, Texas. Dr. Goswami is board certified in Endovascular Medicine, Vascular Medicine, Interventional Cardiology, Adult Cardiovascular Disease, Nuclear Cardiology and Internal Medicine and holds several professional affiliations in medical and cardiovascular fields. His research and publications are plentiful in the field of stents, peripheral vascular disease, and valve disease with publications comprising six textbook incorporations including the current Hurst’s, The Heart: Manual of Cardiology, and dozens of medical journals. He lists among his specializations: Coronary Interventions, Peripheral Interventions, Level II Echo and Level II Nuclear Cardiology. Sachin S. Goel, MD, RPVI is an Interventional Cardiologist at Prairie Heart Institute in Springfield IL. Dr Goel received his medical degree from Seth G.S. Medical College, University of Mumbai, India. He completed fellowships in Cardiovascular Medicine and Interventional Cardiology at the Cleveland Clinic Heart and Vascular Institute in Cleveland, Ohio. Dr Goel is board certified in Internal Medicine, Cardiovascular Medicine, Interventional Cardiology, Adult Echocardiography, Nuclear Cardiology and also certified by the American Registry for Diagnostic Medical Sonography. He has several peer reviewed publications in major journals in the field of Cardiology including Circulation, Journal of the American College of Cardiology, JACC Cardiovascular Interventions, Catheterization and Cardiovascular Interventions, Circulation Cardiovascular Interventions, American Journal of Cardiology, Journal of Thoracic and Cardiovascular Surgery, Journal of Interventional Cardiology and Journal of Invasive Cardiology. His research interests include stents for treatment of coronary artery disease, in-stent restenosis, stent thrombosis, valvular heart disease including transcatheter aortic valve replacement, transcatheter mitral valve repair using MitraClip, patent foramen ovale and peripheral vascular disease. He has also authored several book chapters in prominent textbooks including Interventional Cardiology, A companion to Braunwald’s Heart Disease, Global Textbook of Interventional Cardiology, Manual of Cardiovascular Medicine, The Cleveland Clinic Cardiology Board Review and Cardiovascular Hemodynamics. 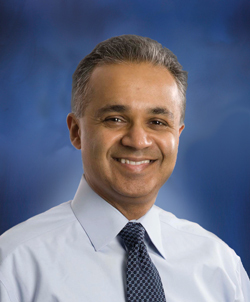 Aman Khurana, M.D., R.P.V.I is a Vascular Medicine Specialist at Prairie Heart Institute, Springfield, IL. Dr. Khurana received his medical degree from the Gajara Raja Medical College, Gwalior, India and completed his fellowship in Vascular Medicine at Oklahoma University. He also completed a fellowship in Interventional Peripheral Vascular Disease at University of Florida. 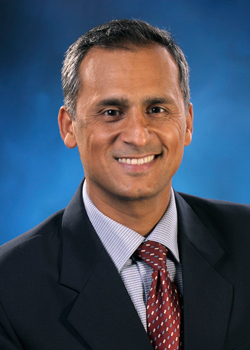 He is certified by the American Board of Internal Medicine and the American Board of Vascular Medicine in Vascular Medicine and Endovascular Medicine, and Dr. Khurana is a registered physician in Vascular Interpretation. He is a Member of the Society of Vascular Medicine, the American College of Physicians, and the American Heart Association.